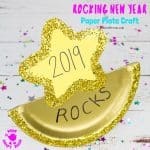 I just adore doing Christmas crafts and art activities with the kids but it can start to feel a bit same old, same old, year after year can’t it? Well not any more! 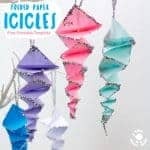 Here’s a collection of awesome BRAND NEW CHRISTMAS CRAFTS that are sure to inspire you and the kids and get your fingers itching to dive into your craft supplies again. 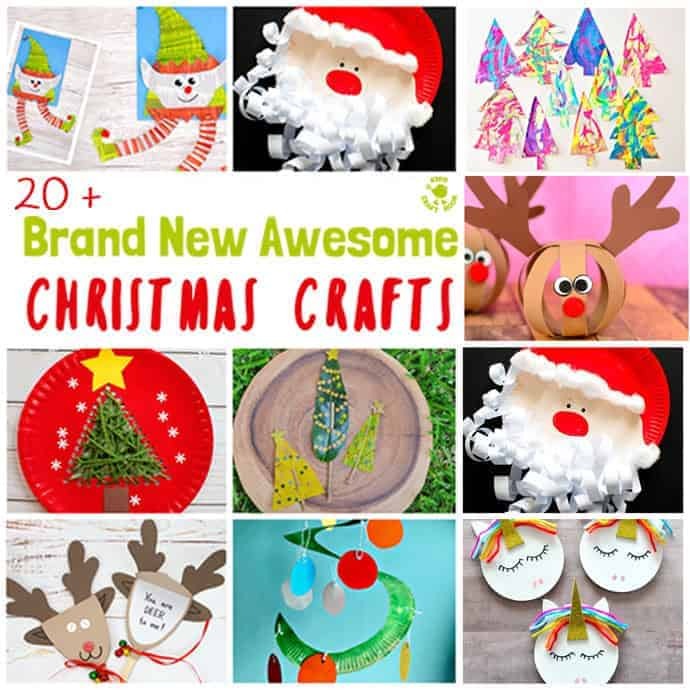 Whether you want Christmas crafts to decorate the walls or tree, or Christmas crafts to play with or send to friends we’ve got 20+ brand new to 2017 fun ideas you wont want to miss! Below you’ll see a photo of each new craft idea with a line or two of text describing it. Just click on each text link to go straight to the full instructions. Have fun browsing and check out our Christmas Crafts Archive too for some old favourites. 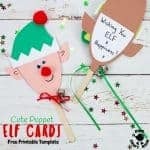 1 – This Dancing Elf craft is one of my all time faves. Grab your old newspaper and the free printable template and have fun! 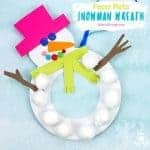 2 – Whether he’s Santa or Father Christmas in your house the kids are going to love the curly beard on this Paper Plate Santa Craft. 3 – Handprint crafts are such gorgeous keepsakes. This Handprint Christmas Tree will melt your heart year after year as you watch your kids grow. 4 – 2017 has seen the internet awash with all things unicorn, and I’m not surprised, they are always so pretty and magical! Now you can bring some enchanting unicorns right into your Christmas display with these easy Unicorn Christmas Ornaments. 5 – This Woven Paper Plate Tree Craft is fantastic for building fine motor skills. 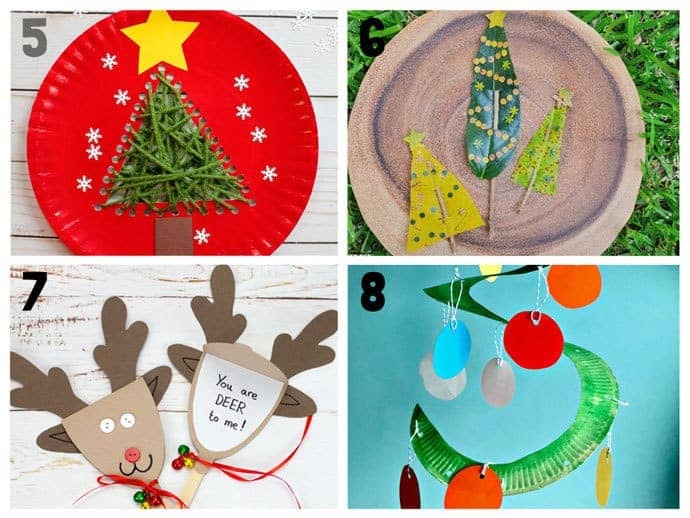 6 – It’s easy to get carried away with the commercial hype of Christmas so I particularly like this Leaf Christmas Craft that gets kids connected back with Nature. 7 – These fun Reindeer Puppets double up as the cutest greeting cards, so you can play and spread the fun and love! 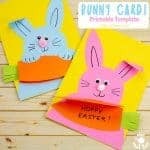 There’s a free printable template too. 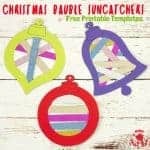 8 – A Whirligig Christmas Craft is a wonderful way to add a splash of colour to any room. 9 – Christmas Tree Squishy Toys are so fun and unique. A great way to bring a sensory element into your Christmas crafts. 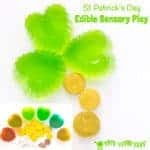 10 -Are your kids always stuffing their pockets with pebbles? Now they can turn them into a Rock Painted Christmas Tree. Fun! 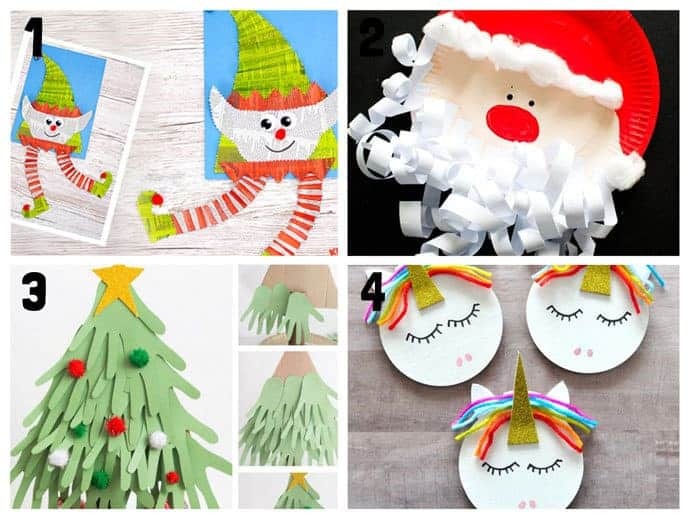 11 – It’s nice to try a mix of 2D and 3D Christmas crafts if you can. 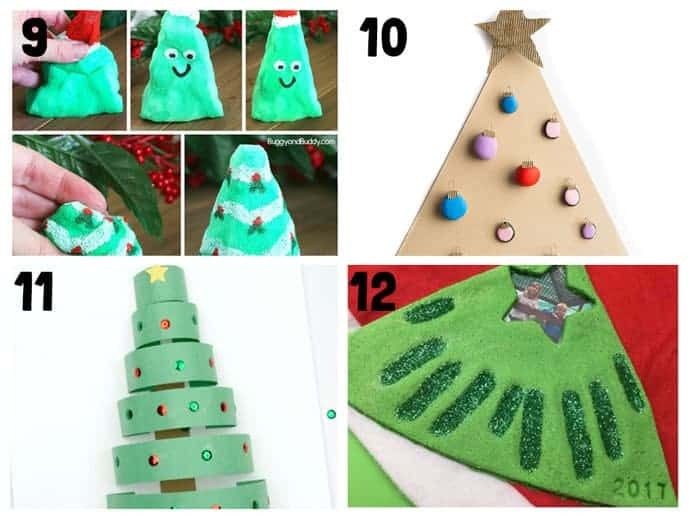 This idea for 3D Paper Christmas Trees is so simple and effective. 12 – Here’s another Christmas Handprint Keepsake idea. Those glittery fingerprints are adorable! 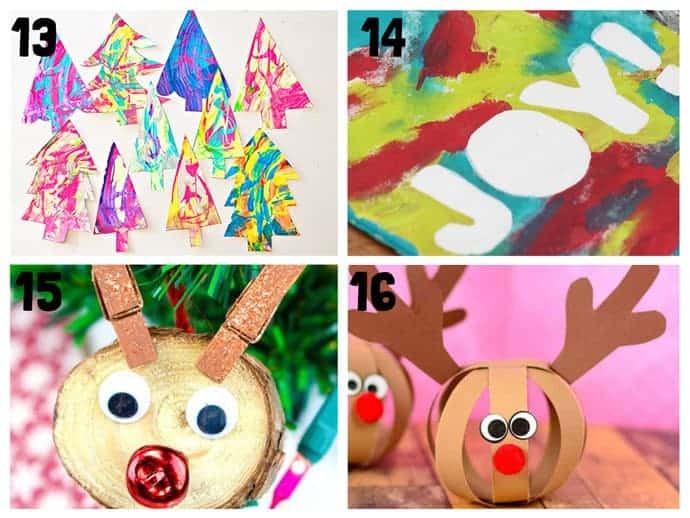 13 – Christmas crafts are lots of fun but don’t forget about Christmas art experiences too! This Paint Scrape Christmas Tree Art is super fun and easy to do and the kids are sure to be mesmerised by the process and the results! 14 – Christmas Wall Decorations are a lovely way to bring the festive season into any room. 15 – Every Christmas tree should have some of these Rudolf Christmas Ornaments. A super cute way to use wood slices. 16 – Who’d have though a simple Christmas paper craft could be so effective. These Paper Rudolfs are adorable! 17 – I remember crafting with doilies when I was a child but non of them were as pretty as these Doily Christmas Trees. 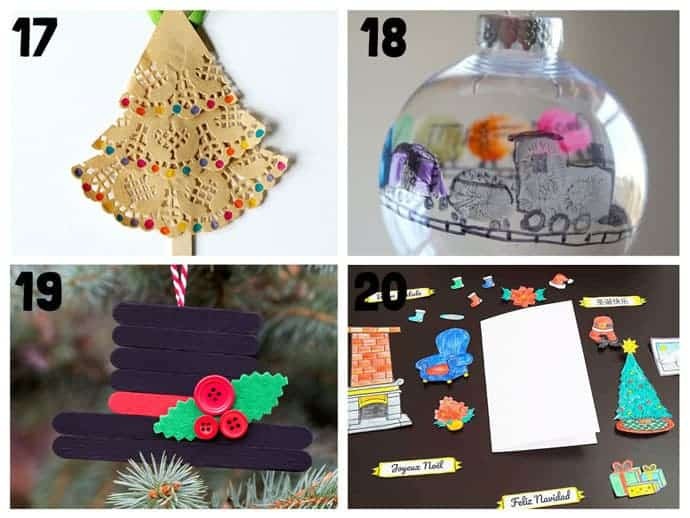 18 – If you’ve got a little train fan in the house then these Fingerprint Train Ornaments are a must. 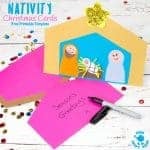 A lovely Christmas craft keepsake to enjoy year after year too. 19 – Grab your popsicle sticks to make this darling Snowman Hat Ornament for the tree. 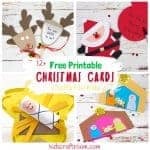 20 – Why not let the kids make their own Christmas Cards this year. Here’s a great multilingual resource print, colour and stick. Have you got a favourite Christmas craft you enjoy year after year? We love hearing from you, leave a comment below, come and chat on Facebook or sign up to our email updates.